The word “audit” comes from the Latin verb audire , which means, to listen. Listening implies an attempt to know the state of the affairs as they exist and as they are expected/ promised to exist. Auditing as a formal process is rooted in this feature of listening. Consequently, it is a diagnostic tool to gauge not only the current status of things but also the gaps between the current status and the desired status in the area that is being audited. Human Resource Audit means the systematic verification of job analysis and design, recruitment and selection, orientation and placement, training and development, performance appraisal and job evaluation, employee and executive remuneration, motivation and morale, participative management, communication, welfare and social security, safety and health, industrial relations, trade unionism, and disputes and their resolution. HR audit is very much useful to achieve the organizational goal and also is a vital tool which helps to assess the effectiveness of HR functions of an organization. 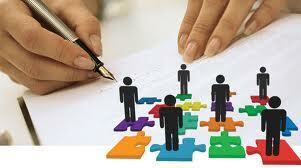 HR Audit is a tool for evaluating the personnel activities of an organization. The audit may include one division or entire company. It gives feedback about HR functions to operating managers and HR specialists. It also shows how well managers are meeting HR duties. In short HR audit is an overall control check on HR activities in a division or a company and evaluation of how these activities support organization’s strategy. Determine the effectiveness of HR plans, programs, policies, systems & procedures and their role in the organization’s strategic planning. Benchmark actual against desired performance and develop an action plan for addressing shortfalls. Save money by identifying and correcting inefficiencies and compliance problems.